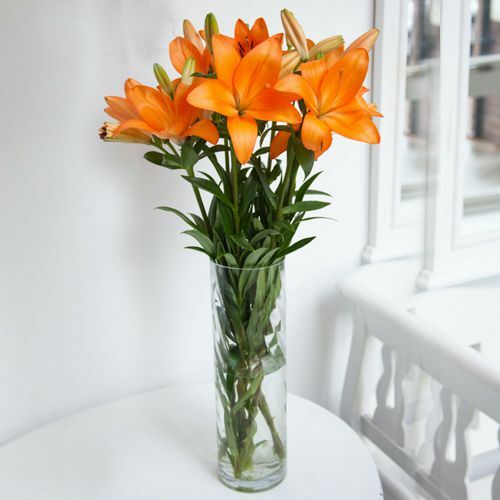 Fashionable Vase Filled with Mixed Lilies. Liven up the mood of someone special by gifting this Fashionable Vase Filled with 6 Pcs. Mixed Lilies that carries all the elements to bring happiness.